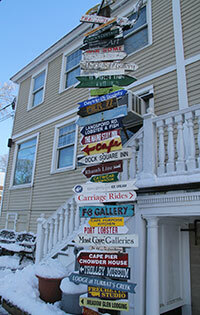 Winters in the Kennebunks are a secret season, and those who discover this quieter time are in for a snowy treat. Deserted beaches offer a serene setting for a winter walk. Hillside draped in snow are prime for sledding. Nearby farms and cross country centers, like Laudholm Farm and Harris farm, offer Nordic skiing and snowshoeing so you can tour the snow-covered fields and winter woods before heading inside for a hot cocoa by the fire. 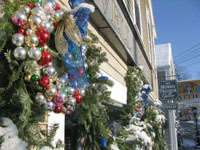 Dock Square in Kennebunkport is a postcard setting around the holidays with festive decorations and a magical Christmas tree in the village center. Winter is also a time for celebration in the Kennebunks with our world famous Christmas Prelude event. Christmas carols at the Franciscan Monastery and homemade cookies served inside the shops are all part of the scene, so is Santa arriving by lobster boat. 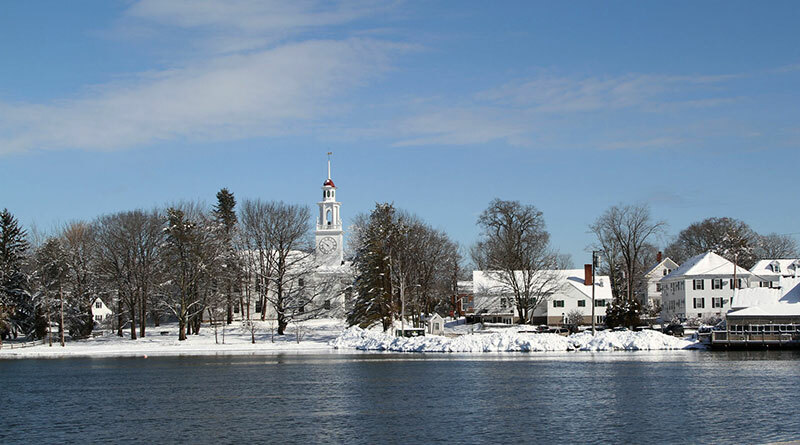 February is for Lovers in Kennebunkport, during this wonderful winter month locals Paint the Town Red and transforms the seaside village into a romantic retreat. Ice bars, wine and cheese tastings, skate parties, and special candlelight dinners are planned for couples and honeymooners. Horse drawn sleigh rides throughout town are a treat, or you can visit nearby stables for horseback riding. Winter is also a great time to discover indoor activities like bowling, roller skating, or Maine’s Indoor Rock Climbing Gym. Movie theatres, Portland Museum of Art and the Children’s Museum are other ways to spend a winter day. 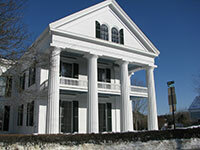 Garden Street Bowl – bowling alley and Crotux bistro, Garden Street, downtown Kennebunk, 207-636-7799. Harris Farm Cross County Ski Center – 40 Km of groomed x-c trails and snow shoeing. Rentals and lunch available, ice skating pond. Maple sugaring in March. Minutes from the coast just off Rt. 35, 30 minutes from Kennebunk. 252 Buzzell Rd Dayton, 207-499-2678. 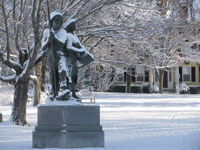 Kennebunk Waterhouse Pavilion Ice Rink – free covered ice rink, Main Street, downtown Kennebunk. Southworth Planetarium – Shows for children and adults including laser concerts.